iPhone is one of the most loved smartphones of this generation. The popularity if mainly because of its applications, the better they are, the more popular a smartphone becomes. iOS-the platform of the iPhone, offers many user friendly applications which has in turn heightened the sale of iPhones. A good iPhone application company can help develop the best apps for iPhone customized to suit the needs of the customer. It is always better to take the help of expert professionals with sound technical knowledge for developing such applications. Techno Softwares is a world class iPhone application development company with years of experience in the field of application development. It helps in developing global standard iPhone apps which can also be customized. 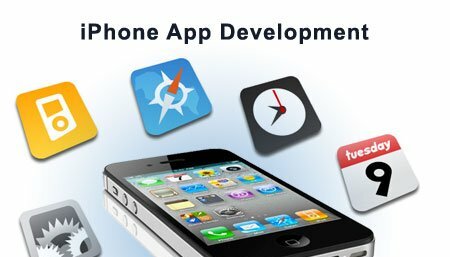 Techno Softwares ensures quality iPhone application development that can provide the best returns. If anyone has an idea about an application for iPhone, Techno Softwares would help bring out the best possible application from that idea in a very customer oriented manner. Professionally sound with all the technical details. Follows the guidelines of Apple while coding the application. Is very punctual and delivers results within the budget of the client. There is proper analysis and planning. Continuous customer feedback is taken. The team has complete knowledge of iPhone simulators. Well aware of the latest iOS versions. Can provide efficient UI for the app. Ensures complete security and safety for the data. Techno Softwares has the ability to develop iPhone applications as per the needs spanning business applications, social media applications, health applications, educational applications, gaming applications, location based applications, instant messaging applications, enterprise applications, event management apps, entertainment applications or ecommerce applications. An iPhone application development company like Techno Softwares can enhance the experience of using the smartphone and provide better returns. You can share your idea about what you want in the application with our professional team and we will ensure the best possible outcome from it. The application will be customized to suit your needs and budget and will be delivered in the given time frame. The technical team would be in constant touch with you and will incorporate your ideas in the app development too. You will also be given a draft to review before providing you the final result and we will be glad to add or delete anything that you wish to. You just have to contact us to let us know your requirements for the iPhone application development and we will take care of the rest.